‘Years of Living Dangerously’: Pastor Rick Joyner Models Feynman’s Ideal Scientist! (This essay has been published in "Living Dangerously: A Behind the Scenes Look at The Climate Change Debate"
In Episode 4 of Years of Living Dangerously while attempting to depict his resistance to “their science”, the producers inadvertently revealed that it was only climate skeptic Pastor Rick Joyner who truly practiced Feynman’s ideal. In contrast the documentary’s producers demonstrated how one-sided political consensus building is practiced to evoke climate alarm. While Pastor Joyner leaned over backwards to understand his daughter’s global warming concerns, the documentary failed to report the science that might make the CO2 connection invalid. While Joyner embodies Albert Einstein’s advice to “Never Stop Questioning,” the documentary tries to subtly denigrate his questioning as a stubborn refusal to believe what the alarmist were preaching. In gross contrast to America’s public schools where coordinated efforts teach students how to resist peer pressure and think for themselves, the documentary offered no scientific discussion. They simply demonstrated that consensus is built via heavy peer pressure. The documentary exploited the struggles of Apalachicola Bay’s oyster fishermen who have recently watched their oysters disappear as the bay has become increasingly saline due to low flows Apalachicola River. Pastor Joyner willingly boards 2 fishermen’s boat to witness the absence of oysters in their hauls, and then the documentary implies that it was CO2 climate change at the root of the fisherman’s suffering. Although sympathetic to the fishermen’s plight, Pastor Joyner maintained his skepticism and his stance is supported by most scientific studies. If the documentary wanted to educate the public about the best practices of science, they would have examined all the facts including well know water management practices. But only Pastor Joyner seemed willing explore such alternative viewpoints. The producers’ efforts would have done more good, if they had tried to enlist the pastor’s influence to promote better watershed management. But the producers seemed intent on bending over backwards to suggest recent droughts were unnatural and caused by rising CO2. But our best scientists do not support that suggestion either. Instead of discussing all the science, the producers try to bludgeon Pastor Joyner with Christian peer pressure beginning with his daughter. Then Katherine Hayhoe visits and repeats the same simplistic arguments from episode 1. Then former U.S. Representative Bob Inglis piles on. Finally Pastor Joyner is brought to Dr. Richard Muller who has been hailed as the Koch-brothers-funded skeptic who now believes in CO2-caused warming. 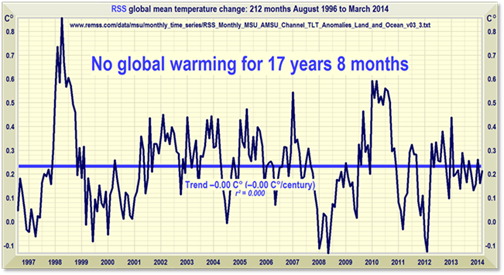 But the producers fail to mention that Muller’s homogenized instrumental data may suffer from the same biases illustrated in “Unwarranted Temperature Adjustments: Conspiracy or Ignorance?.” Or contrasting satellite data that shows the global average has not risen in 17 years. Or that not one tree ring study (from locations where temperatures are not influenced by urbanization effects) supports Muller’s interpretation of rapidly rising temperatures. A paper by 10 of the world’s top dendrochronologists reported, “No current tree ring based reconstruction of extra-tropical Northern Hemisphere temperatures that extends into the 1990s captures the full range of late 20th century warming observed in the instrumental record.”4 In contrast to Muller’s reconstructions, a majority of the tree ring studies show a slight cooling since the 40s, despite the rise in during the 80s and 90s. This has been called the ‘divergence problem”. 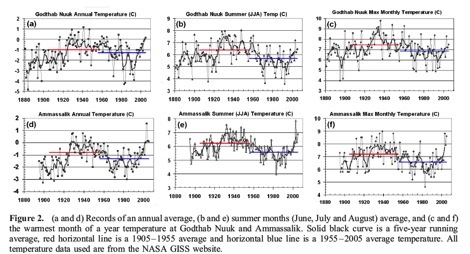 As seen in their graph, Greenland temperatures show a more cyclical nature with more warmth in the 30s and 40s and in agreement with most tree ring studies. The retreat of Greenland’s glaciers has been largely due to intruding warm waters driven by changes in natural ocean oscillations. Those ocean oscillations increased the flow of warm Gulf Stream waters that eventually bathe the coast of Greenland and islands in the Arctic Ocean. Those warm currents melted the bottoms of any glaciers that terminated in the ocean. The rapid retreat of Jakobshavn between 1920 and 1940, as well as in the 1990s, corresponds to North Atlantic regime shifts during which warm waters from the Atlantic were pushed into the Arctic. Marine biologists wrote, “The warming in the 1920s and 1930s is considered to constitute the most significant regime shift experienced in the North Atlantic in the 20th century.”10 Fishery biologists observed that “species of fish such as cod, haddock and herring expanded farther north while colder-water species such as capelin and polar cod retreated northward. The maximum-recorded movement involved cod, which spread approximately 1200 km northward along West Greenland.” The warm water and associated species lingered for 2 more decades before retreating in the 1960s. We are all blinded by our illusions and we can only free ourselves from those illusions by careful observations, experiments and respectful debate. I was brought up in a devout Christian family but I am no longer a churchgoer. My parents and I differed on the concepts of evolution. However I still embrace their ideals embodied in the Golden Rule and Abraham’s devotion to knowing the greater truth. Abraham’s willingness to sacrifice his son to be closer to God is religion’s equivalent of Feynman’s ideal scientist who leans over backwards to prove that he has not been fooled by clinging to a cherished belief. Pastor Joyner embodied the best of his religion and science. He willingly ventured into the wilderness of climate alarmism and respectfully listened to a parade of opposing viewpoint. He allowed his daughter to share her opposing beliefs to his congregation. He demonstrates his faith that only the truth will set you free! Compare Pastor Joyner’s actions to those of prominent global warming alarmists and ask who best demonstrates the integrity of Feynman’s ideal scientists and the pursuit of truth. Compare Pastor Joyner openness to David Suzuki’s demand that society “Deny the Deniers the Right to Deny.” Or top CO2 climate scientist Kevin Trenberth’s Joint Presidential Session on Communicating Climate Change speech titled “Communicating Climate Science And Thoughts On Climategate” when he advises fellow scientists to act contrary to scientific ideals. Branding skeptics as deniers he condescends, “Debating them about the science is not an approach that is recommended. In a debate it is impossible to counter lies, and caveated statements show up poorly against loudly proclaimed confident statements that often have little or no basis”. And in the published versions provides a cartoon proclaiming skeptics are the world’s greatest threat. Accordingly climate alarmists have circled the wagons and refused to debate with climate skeptics, preferring hit pieces such as Years of Living Dangerously. Climate modeler Gavin Schmidt and Michael Mann’s side kick on the RealClimate website, would only appear on John Stossel’s show if there was no face to face debate and skeptic scientist Dr. Roy Spencer removed himself while Schmidt was on stage. And Michael Mann, the creator of the hockey stick interpretation of climate change not only calls everyone who disagrees with his viewpoint a denier but anti-science. But it is only via thorough skeptical examination that challenges every hypothesis does a scientific opinion become trustworthy. But climate alarmists like Mann demean any and all who question CO2 as deniers, as if the truth has been already determined. They promote their view on websites and op-ed pieces encouraging a new intellectual tyranny aimed at shutting down all skeptics. I suggest they will be better scientists if they emulated Pastor Joyner, and listen to all sides, promote more debate, and then let the truth lead us wherever it may. 1. Livingston (2008) Importance of River Flow to the Apalachicola River-Bay System. Assessment Report. NOAA Drought Task Force. 4. 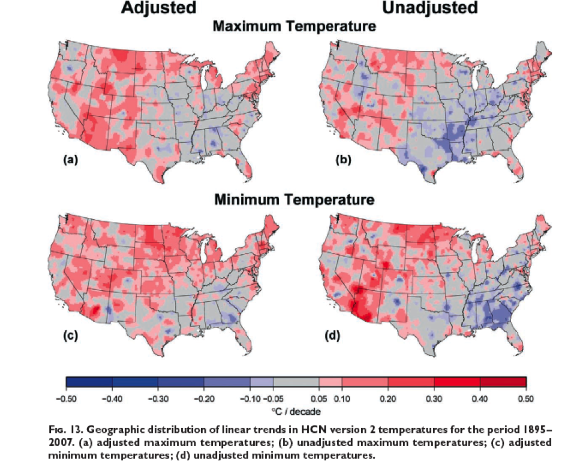 Wilson (2007) Matter of divergence: tracking recent warming at hemispheric scales using tree-ring data. Journal of Geophysical Research–A, 112, D17103, doi: 10.1029/2006JD008318. 7. Young, N., et al., (2011) Response of Jakobshavn Isbræ, Greenland, to Holocene climate Change. Geology, vol. 39, p. 131?134. 9. Csatho, B., et al., (2008) Intermittent thinning of Jakobshavn Isbræ, West Greenland, since the Little Ice Age. Journal of Glaciology, vol. 54, p. 131?145. 10. Drinkwater, K. (2006) The regime shift of the 1920s and 1930s in the North Atlantic. Progress in Oceanography vol. 68, p.134–151.